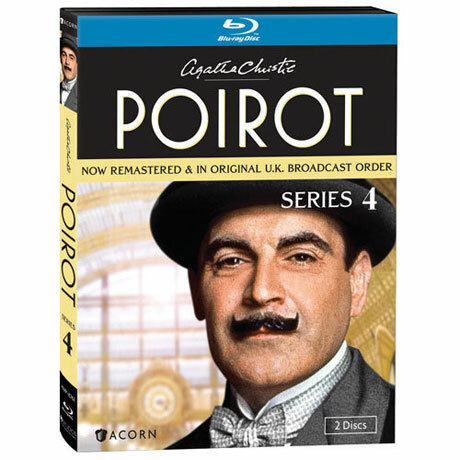 David Suchet returns as the dapper Belgian detective in these three feature-length mysteries from the hit series. 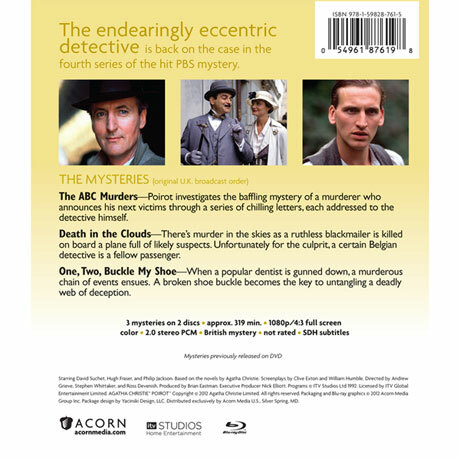 Aided by Captain Hastings (Hugh Fraser, Sharpe) and Chief Inspector Japp (Philip Jackson, Little Voice), Hercule Poirot tackles the trickiest of cases with savvy and finesse. These newly remastered episodes bring Agatha Christie's vibrant 1930s Europe to vivid life. Guest stars include Donald Sumpter (Game of Thrones) and Christopher Eccleston (Doctor Who). 3 episodes, approx. 306 min. on 3 Blu-ray discs.